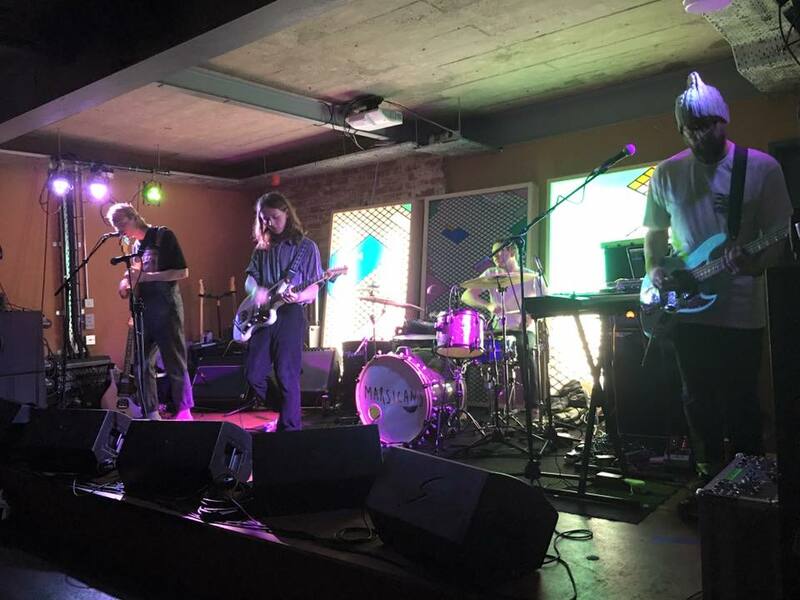 Leeds really is a goldmine when it comes to undiscovered musical talent, and with some of the most impressive venues in the country it provides a steadfast stepping stone for up and coming bands to show off their art. Its always fantastic to see bands who are truly proud of their roots; Apollo Junction are one such band. Consisting of Matt, Ben, Sam, Jonny & Jamie, the band have recently been championed by none other than Graham Norton on his Radio 2 show- and with their latest release, its not difficult to see why. 'This Could Be The Day' is a stroke of indie fuelled brilliance. Unwavering, melodious lyrics delivered with confidence and conviction atop gritty, distinctive vocals, its packed full of promise and positivity- which is so refreshing. I knew pretty much straight away, from the punchy intro alone, that I was going to like this track. As a whole, its well shaped, and displays good control over the instruments that they play so well. Anthemic, edgy and raw throughout, I can definitely see why this track is attracting so much attention from some pretty big names in the music industry. Both instrumentally and vocally, it's incredibly impressive and definitely has strong commercial potential. After hearing this track, these guys are definitely on my list of bands I need to see live in the near future. You can listen to Apollo Junction via their soundcloud here, or listen to a snippet of 'This Could Be The Day' on the BBC Music website here. Festival headliners of tomorow, Judas are confident, easy performers with a BIG sound and an even bigger stage presence. From their atmospheric introduction and stage entrance, to last number Youth of the Young Age, the band showed an astounding amount of professionalism within their performance on both nights and I really felt as if I was witnessing the beginning of something rather special. 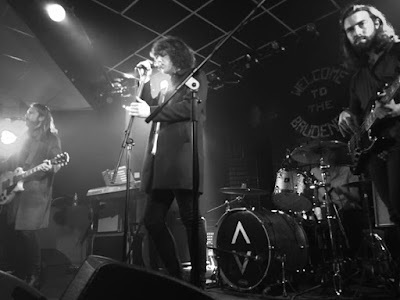 Until this weekend, I'd seen them live only once before, when they supported Glass Caves last year at the Brudenell in Leeds. They gave me a CD that night, which I loved, but for one reason or another I'd not been able to catch them live again since. Since then, a number of new songs have crept into their set and I cannot wait to see what the future holds for them. With a new EP coming next month, its sure to be bright; they put on an awe-inspiring show, soaring through each and every song as if its the last they'll ever play and they need to make it as vivid and valorous as they possibly can. Verve Bar in Leeds is a small venue, and I get the impression that these guys are destined to play much bigger in the near future. Saying that, Verve has a good vibe- I've been to a number of Double Denim Live shows here and I've never been disappointed. By the time Judas arrived on stage just after 10pm, the place must surely have been at full capacity. Having frequented Leeds a number of times in the last year or so, Judas clearly have a good, strong fanbase here and its easy to see why. Older tracks such as Love Is The Enemy, Sister & Call Me (my personal favourite) went down like a dream, and ending the night with Youth of the Young Age was definitely the right thing to do as from feedback on social media this appears to be a crowd favourite. 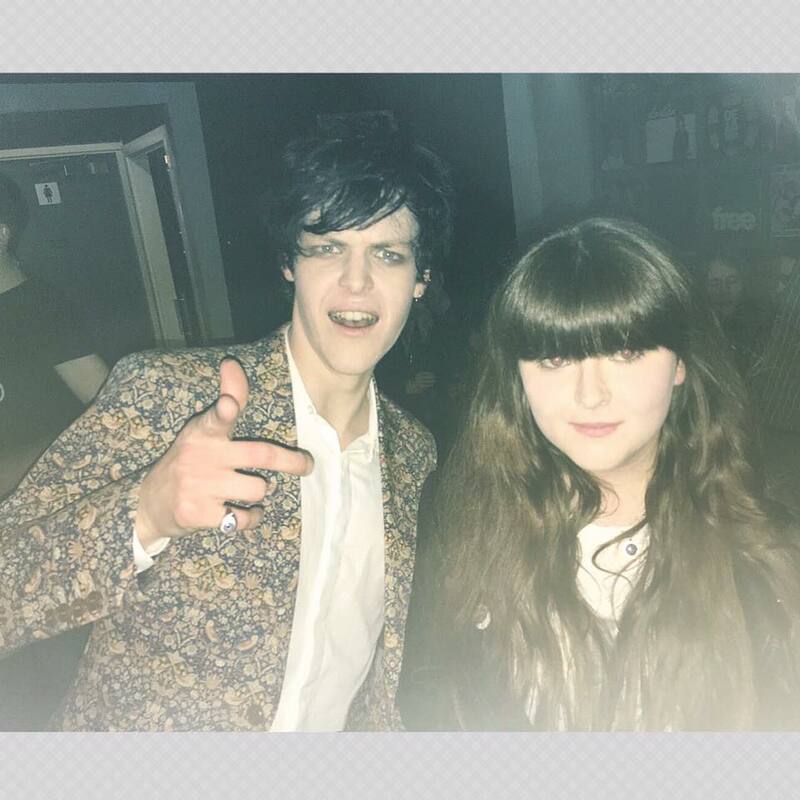 When I found out the guys were playing Rocking Chair in Sheffield the following night, I couldn't resist going back for round 2, and I am so glad I did. 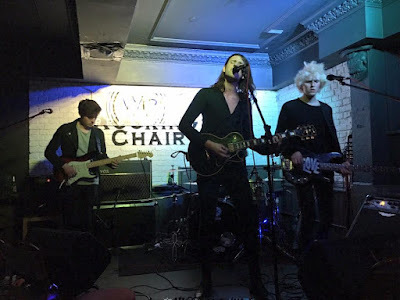 In terms of size, there's not much difference between Verve and Rocking Chair but I did feel the sound was better at the latter, which in turn meant the performance as a whole was much more impressive. One of the main reasons I enjoyed night 2 more was the fact a lot of the newer songs I'd never heard before were more recognisable to me, and I could truly appreciate how truly phenomenal this band is. Introduced on both occasions as the new one, Some People is tucked neatly between older tracks Sister & Call Me. Its a rip-roaring success, a real anthem, and a superb example of why this band and their forthcoming EP are ones to watch. With a live performance always packed full of energy, exultation and enthusiasm they truly are in a class of their own. I reckon in the very near future, Judas will be the name on everyones' lips. This is a band who know the direction they want to take their music in, and they know full well that they're good at it. A Judas gig is nothing short of euphoric. Watch this space. I've lost count of the number of times I've seen Glass Caves live; their shows never fail to impress, and over the years they've become one of my all time favourite live acts. I always feel insanely proud to be able to say that they are originally from my hometown, Pontefract- which is also where I saw them live for the very first time, back in 2013 at Crooked Ways Festival. Put together Glass Caves, and one of the best small live venues in the country Brudenell Social Club and you have yourself a perfect night. The night began with local band and all around musical powerhouse, The Doldrums, who admittedly I was just as excited to see as the main act after having been a fan for almost a year. 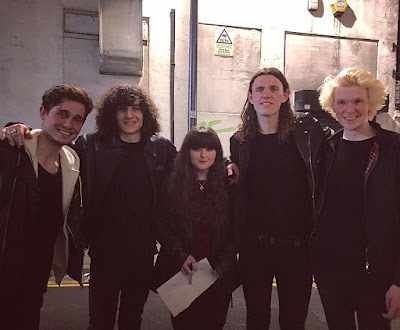 I first saw these boys supporting October Drift at Oporto back in May 2015 and I instantly knew they were special. It's been a few months since I last caught them live; now even more polished and audacious than ever before the band sailed confidently through an 8 song set made up mostly of new songs which from speaking to Harry they're all ridiculously proud of- and rightly so. 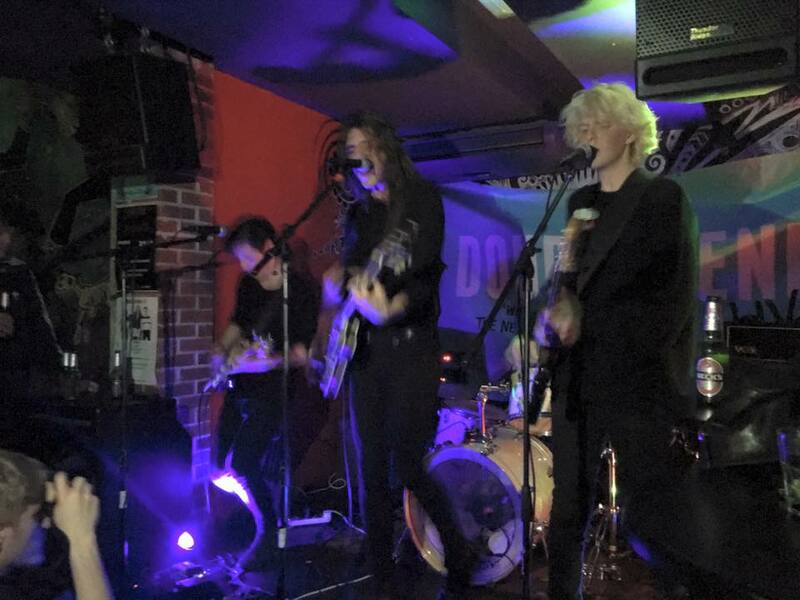 They've seriously upped their game of late, proving themselves as a hard working, spirited and ambitious young band who are serious about showcasing their art and making a name for themselves on the Leeds music scene. Music aside, they're clearly a tight unit and their visibly strong friendships provide the fantastic foundations of a potentially hugely successful band. You can catch these guys live this coming Friday where they'll be playing Verve Bar (free entry) Leeds for the wonderful Mick, Chantel & Sam over at Double Denim Live. The second support act of the evening was Nottingham based three piece, Silver Wilson. I'd never heard of this band until the day of the gig and so didn't know what to expect but I was pleasantly surprised; catchy, foot-tapping music brought to life by smooth, confident vocals- these guys have a distinct sound of bands such as Bombay Bicycle Club, Coasts, and Circa Waves. They're engaging performers, and the kind of band you can foresee a bright future for when it comes to radio airplay; there's certainly something commercially appealing about their sound and I can imagine them becoming quite popular on the festival circuit sometime soon. Every song was well received by the crowd, and the day after the gig I headed over to the boys' soundcloud to check out some of their material. You can check it out here. Glass Caves' headline set was comprised mostly of brand new music, with a few old favourites thrown in much to the delight of the crowd. Being front row, I could truly appreciate the phenomenal atmosphere in the room that night. New single Alive was particularly well received. Its a big track, and pays homage to their much loved debut album of the same title which the band have toured relentlessly since its release in 2014. Despite the fact that the song only hit the airwaves at the end of March, the audience sung every word back at frontman Matthew Hallas-and what a frontman he is; amusing and entertaining, I always find that I enjoy Glass Caves' gigs just that little bit more because of his interaction with the crowd. 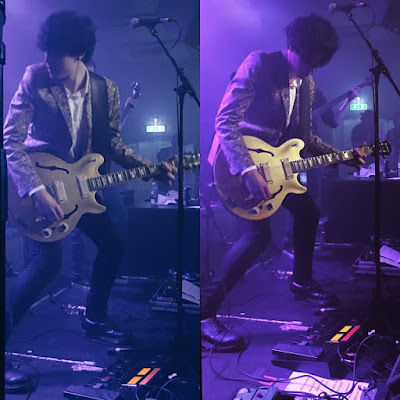 The seemingly effortless way in which the band create such incredible songs and perform them to a live audience with such vigour, style and proffesionalism has left them with a loyal fanbase who turned out in force to hear snippets of their forthcoming new album. A number of the new tracks are known to audiences from the last tour, my personal favourite being Swim; uplifting and memorable, the track represents everything I love about this band, and leaves me unbelievably excited for what's to come. The band draw the night to a close with three well known album tracks, Why Stay, Be Together and epic finale Out of Control which comes after a short encore. It's a reminder of the pure brilliance of their debut album; the songs are timeless and have the audience dancing and singing every word. No one can argue the fact that this is a band made up of some of the most talented musicians this country has on offer. They have the air of a band who have been around for decades, and an infectious energy and enthusiasm that leaves you desperate to see them live again and again. I can't wait to see them again on the 14th of May at Fibbers, in York. I can never find the right words to adequately describe Conor Houston. I cannot praise him enough, he really is one of the most talented musicians I have ever met in my life, and one of the most humble too; sometimes I have to wonder if he really knows just how brilliant he is. He has a real air of David Bowie about him, you only have to look at him to realise this. He clearly takes a great deal of inspiration from him, but manages to do so beautifully and without becoming a carbon copy. I'd been eagerly awaiting this gig for a long time, not having seen Conor perform before with a full band. The Leadmill is one of my favourite venues, the atmosphere is always electric and the room was full by the time Conor took to the stage. I'd probably go as far as to say that this is one of the best gigs I've ever been to. Conor is one of those musicians you want to shout from the rooftops about how talented he is, because surely by now someone with his level of creativitiy and unique talent should be well known and loved worldwide. He had his audience in the palm of his hand, delivering every single song with charisma and passion. As well as that, he's genuinely one of the happiest performers I've ever seen, with a smile that never left his face throughout his entire set. The performance began with Retro Tinted Mind, one of the songs which I think the most resembles Bowies' material. Its a big song, with quirky lyrics and a real authentic 70's feel. Backed up by a phenomenal band, Conor really showed he has star quality and good control of the instruments he commands. He has a good sense of humour, and when the third track of the night, Champagne Eyes, ended he joked about not having chosen to end the night with what is perhaps his most well known track. It IS one of his strongest songs, and THAT guitar solo almost killed me- amazing! There's a gap in the market for someone of Conor's genre; surging guitars, memorable lyrics, and incredible vocal control alongside his obvious love for music make him, in my opinion, the definition of a true artist- of which I believe many mainstream radio stations are lacking these days. This gig left me in awe. All I wanted to do afterwards was tell anyone who woulds listen all about Conor Houston and his amazing music. I have a feeling the best is yet to come.